"The Voice of the Violin" is a short drama directed by D.W. Griffith. The film is included in our program to illustrate the work of two of our stars: actor Arthur V. Johnson and cinematographer Billy Bitzer. Arthur Johnson is a musician, who makes a living with classes of violin. He and his student Marion Leonard like each other a lot, but she rejects him for being too poor for her. He then decides to join a communist group and fight for equality of all. Right away he draws a lot to plant the next bomb in a rich man's house. With the plot under way he realizes that this is the home of his love interest, and he desperately tries to prevent the bomb from exploding. Arthur Johnson is not interested in the communist theories of his friend in "The Voice of the Violin" (1909), directed by D. W. Griffith. Arthur Johnson waits for his favorite student in "The Voice of the Violin" (1909), directed by D. W. Griffith. 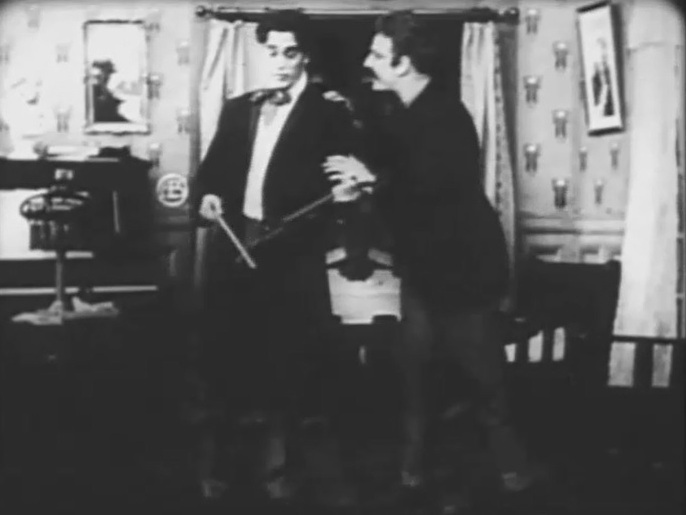 Arthur Johnson and Marion Leonard are happy to see each other in "The Voice of the Violin" (1909), directed by D. W. Griffith. 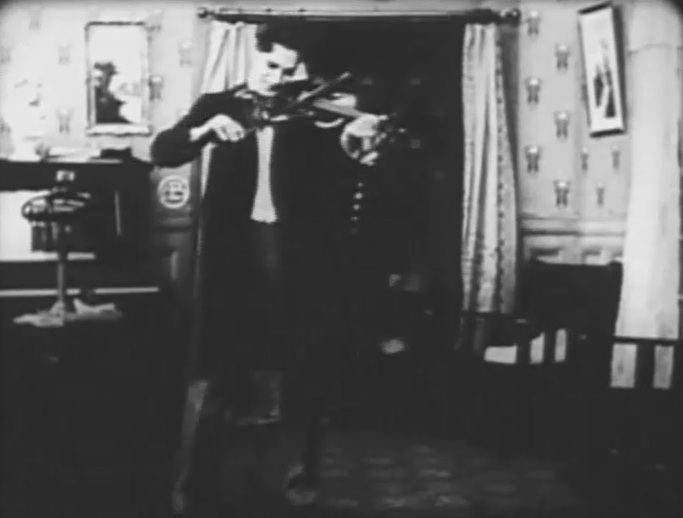 Arthur Johnson shows to Marion Leonard how to hold the violin correctly in "The Voice of the Violin" (1909), directed by D. W. Griffith. 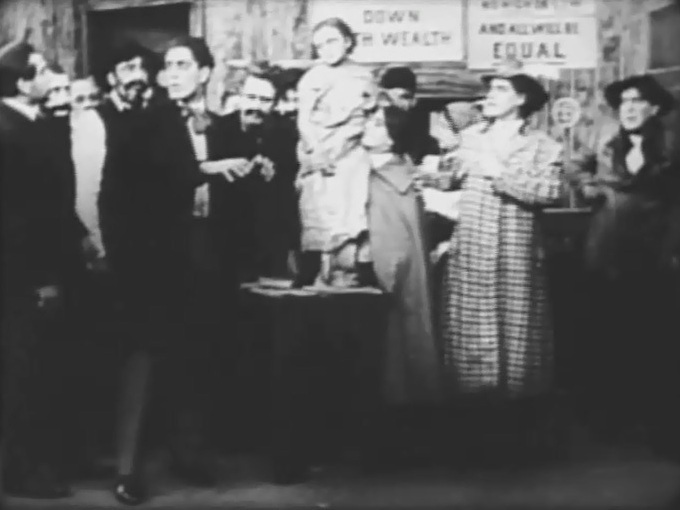 Arthur Johnson makes a declaration to Marion Leonard in "The Voice of the Violin" (1909), directed by D. W. Griffith. 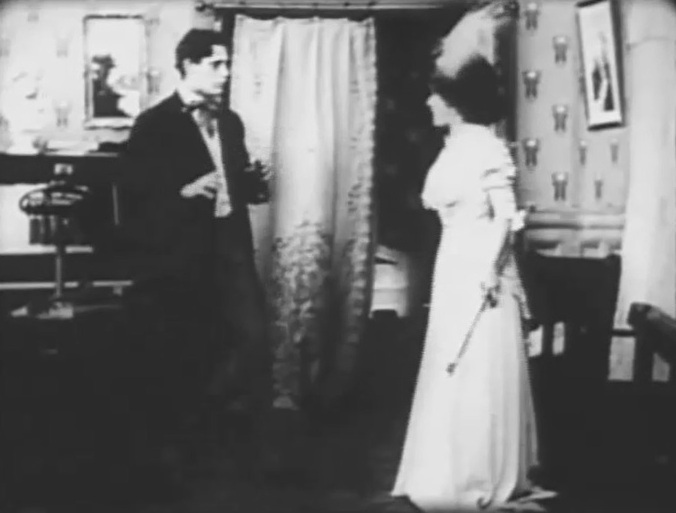 Arthur Johnson is rejected by Marion Leonard for being poor in "The Voice of the Violin" (1909), directed by D. W. Griffith. 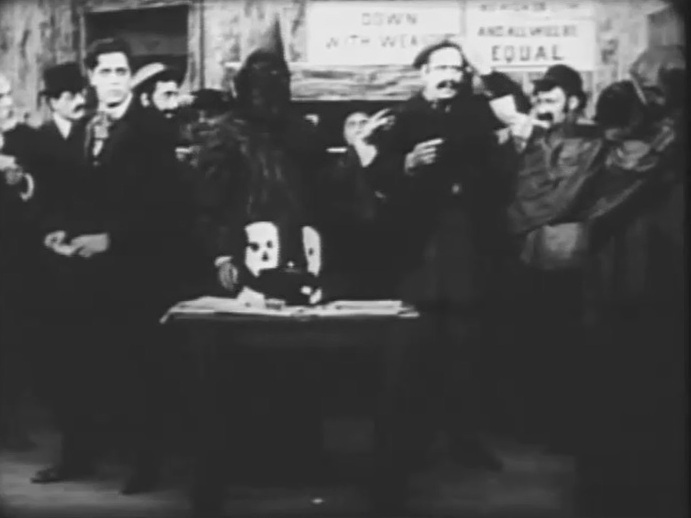 Arthur Johnson joins a communist group to fight for equality in "The Voice of the Violin" (1909), directed by D. W. Griffith. Arthur Johnson draws a lot to plant the next bomb in "The Voice of the Violin" (1909), directed by D. W. Griffith. 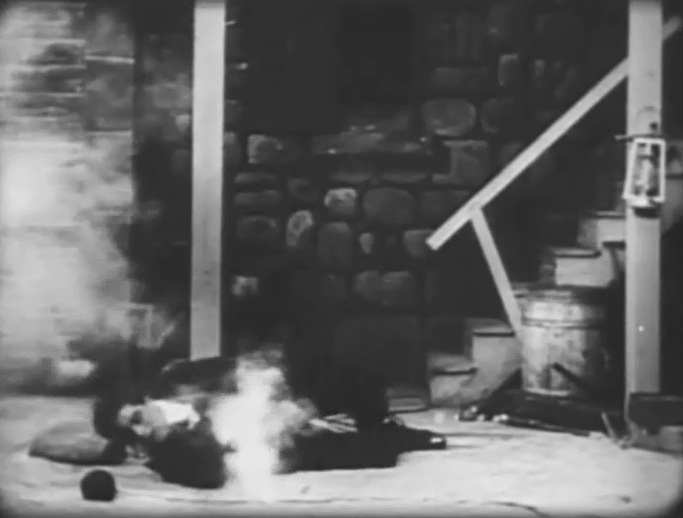 Arthur Johnson wants to stop the bomb from exploding in "The Voice of the Violin" (1909), directed by D. W. Griffith. 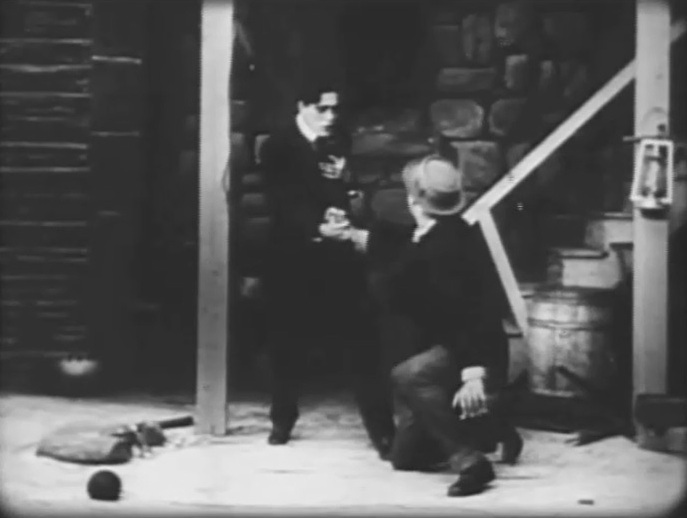 With tied hands and feet Arthur Johnson tries to stop the bomb from exploding in "The Voice of the Violin" (1909), directed by D. W. Griffith.